No, yerba mate doesn’t rhyme with ‘soul mate.’ But it certainly has everything you’d want in one! Energy, euphoria, health, and taste clubbed together in a cup – that is how I’d like to define yerba mate. Don’t believe me? 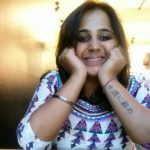 Read on to understand more about this fabulous herbal drink and its importance. What Are The Benefits Of Drinking Yerba Mate? What Is The Nutritive Value Of Yerba Mate? What Are The Side Effects Of Yerba Mate? Yerba mate (yer-bah mah-tay) is a beverage made from the holly tree (Ilex paraguariensis). It is popular in South American countries like Paraguay, Argentina, Uruguay, parts of Brazil, and Chile. For the longest time, the rainforest tribe Aché Guayaki consumed yerba mate for its rejuvenating benefits. Yerba mate translates to ‘herb’ mate. 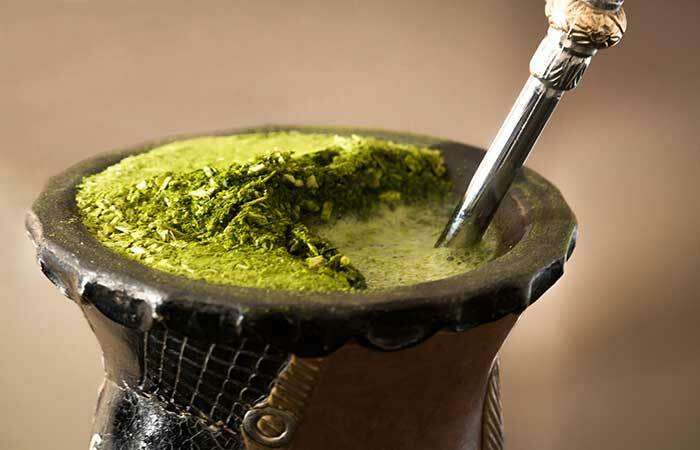 In Quechua, mati means a ‘drink container’ and ‘herb infusion.’ This drink is also called as mate (ma-tay), chimarrão, and tereré in Spanish and Portuguese. So, why is yerba mate considered healthy? Scroll down to find out. The mate infusion has many phytochemicals like polyphenols, xanthines, caffeoyl derivatives, and saponins – all of which are beneficial to your body (1). Essentially, yerba mate is made with the Ilex leaves and stems that are extensively processed and finally dried on wood smoke, which gives the beverage a characteristic woody flavor. The South Americans drink this infusion in a specific container (cup), resembling a gourd, filled with these dried leaves and stems, to which they add hot water. They use a metallic straw called bomba or bombilla to drink it hot. Such a beautiful and unique way of having tea, isn’t it? 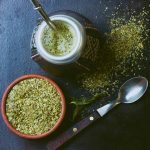 It’s not just the way of preparation but also the associated benefits that are going to make yerba mate your favorite beverage. Read on, and you’ll know why I say that! Drinking yerba mate will help you lose weight and prevent weight gain. It reduces hunger pangs by triggering fat oxidation, decreasing the rate of lipolysis, and delaying fat absorption. This action will leave you with a fuller tummy and keep you from binging on empty calories. The caffeine derivatives and saponins present in yerba mate interfere with cholesterol and triglyceride metabolism. So, this tea manages obesity and the associated cardiac troubles. Since it is a digestive tonic with excellent antibacterial ingredients, yerba mate can give you great relief from indigestion and diarrhea caused due to bacterial infections. Yerba mate also has choleretic activity – it mobilizes the bile juices secreted by the liver. Increased rate of bile flow quickly digests the food you eat and helps in better assimilation. Since mate is a treasure trove of antioxidants like tannins, rutin, ursolic acid, quercetin, oleanolic acid, etc., it eliminates free radicals and toxic intermediates from your blood. The saponins and caffeoylquinic derivatives, along with other polyphenols, stimulate the functioning of the immune system. 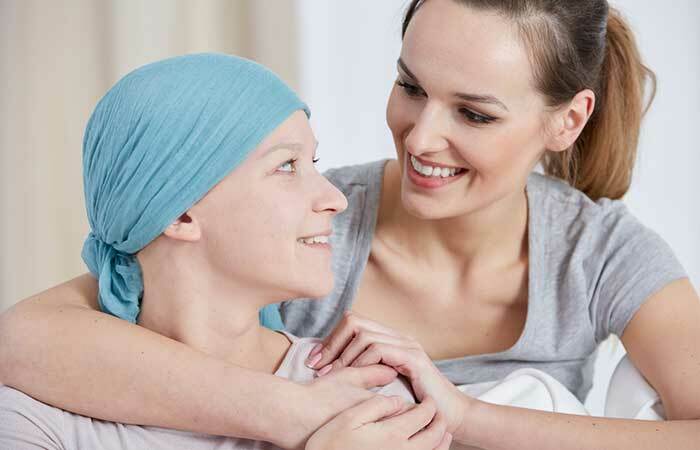 They activate T-cells, which, in turn, activate various subsets of cells that perform defined roles in protecting your body from all kinds of attacks (2). The phytochemicals in this beverage, like quercetin, rutin, tannins, caffeine, and chlorophyll, are anti-inflammatory and antioxidative – they exhibit cytotoxicity to tumor cells (3). These ingredients inhibit the enzymes responsible for the growth and development of tumors and even metastasis. However, too much of yerba mate intake can increase the risk of cancers of the esophagus, larynx, pharynx, mouth, and GI tract. Hence, consult your doctor in this regard. While most of us start our day with a cup of hot coffee, the South Americans swear by their all-time favorite – yerba mate! This hot and refreshing infusion provides gentle, calm, and clean energy – similar to your cuppa, but without the side effects. And it has a similar phytochemical composition as green or black tea. The flavonoids purify your blood and detox your body while the minerals and vitamins recharge and revitalize your body. Like most of the rainforest herbs, Ilex too has diuretic properties. The xanthines, like theobromine and theophylline, along with caffeoylquinic acids, act on the circulatory, urinary, and excretory systems to maintain the electrolyte balance in your body. You can control issues like bloating, fluid retention, swollen joints, UTIs, kidney stones, and hypertension by drinking the right amount of the mate every day. Replacing coffee or tea with yerba mate in postmenopausal women, as per a study, had resulted in increased bone density (4). The mate is rich in minerals like potassium, iron, phosphorus, and fat-soluble vitamins that help in maintaining bone health and keep osteoporosis and arthritis at bay. Yerba mate leaves have caffeine, along with other neuro-stimulating alkaloids and phytochemicals. 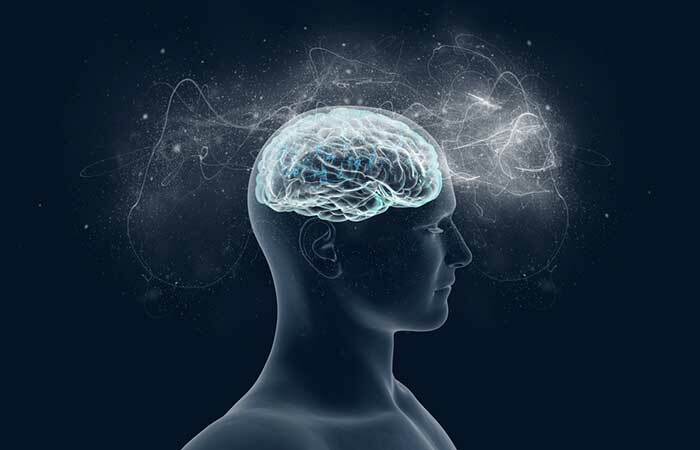 The leaf extracts have shown to protect the action centers of your brain, like the cerebellum, hippocampus, and cerebral cortex (5). Having mate tea regularly reduces convulsions, seizures, pulsating headaches and migraine and improves blood circulation to your brain. It helps in maintaining your sleep cycle, deals with anxiety, and ensures smooth functioning of the endocrine and paracrine systems. One to two cups of yerba mate a day will give you all these benefits, along with a few others that are still being studied. Now, isn’t that astonishing? Since it holds a high therapeutic value, it is important we know about its nutrients. So, here you go! The data varies from species to species but is still comparable in most parameters. Mate leaves are also rich in vitamins A and B complex, zinc, magnesium, chlorine, aluminum, chromium, copper, nickel, manganese, and lead (found within permissible limits). – Yerba mate, when made with hot water, is called chimarrão, and when made with cold water, it is called tereré. – The best quality mate leaves have low polycyclic aromatic hydrocarbons (PAH) and are flash heated (not smoked) to protect the antioxidants and other phytochemicals. – Dried Ilex leaves are aged in cedar chambers for almost 12 months to give them their characteristic flavor. – In South America, people sit in a circle and share the brew as a sign of friendship and goodwill. They add hot water to the gourds filled with the leaves, sip it (using the bombilla), refill it, and pass it to the neighbor. – You can refill the gourd until the tea loses its fragrance and taste. – Mate tea is an excellent antidiabetic drink. Because of its antihyperglycemic and antioxidative properties, it can control blood sugar and cholesterol levels. Honestly, after knowing its nutritive profile and benefits, I was tempted to make a quick trip to the South American continent to get the best mate! So, here I am sharing a simple and traditional way of preparing a cup of subtle yerba mate. Read and enjoy! Bring the water to a simmer. Boiling it will result in a more bitter tea. To your teacup, add a teaspoon of tea leaves (you can increase or decrease the quantity of tea as per your requirement). Transfer the water to the cup and let the tea steep for about 5 minutes. Add sugar or your regular artificial sweetener. You can add a dash of lemon or mint to it for better taste. Try adding ice and having it cold, like iced lemon tea! To get the authentic feel, get yourself the traditional gourd and bombilla. Fill three-fourths of the gourd with mate leaves. Follow the above procedure and enjoy the clean caffeine rush! This tea will leave you with a fresh and light feeling as it starts working on your body. Now that you (must) have a batch of tea made, how many times a day should you drink it? Would it have severe consequences if you drank more than 5 cups a day? Yes, I’m coming to that. Scroll down to read the side effects of having yerba mate. Since it is made of herbs, yerba mate comes with its share of risks and side effects. Although they occur in rare cases, it is best to bear them in mind before deciding your daily intake. Since mate tea has high levels of caffeine, it might give you sleepless nights or cause trouble in sleeping. If this happens to you, reduce the intake of caffeinated beverages (including mate tea) and switch to alternatives. A lot of gastric cancer cases arise due to consuming piping hot food. As a precaution, do not drink very hot mate. Try the tereré version or have it when it is lukewarm. And if you are habituated to drinking it regularly, multiple times a day, you could be at the risk of developing gastric, esophageal, mouth, or laryngeal cancer. The probability increases manifold if you are an alcoholic or a smoker or both. The flavonoids in yerba mate can affect your heart, especially the caffeine and caffeoylquinic acid derivatives. This could result in irregular heartbeats, fluctuations in blood pressure, electrolyte imbalances, and in rare cases, a heart attack (myocardial infarction). Consult your physician if you observe any of these effects to avoid unnecessary complications. Everything has a dark side, and so does yerba mate! But in this case, the pros outweigh the cons. Don’t they? 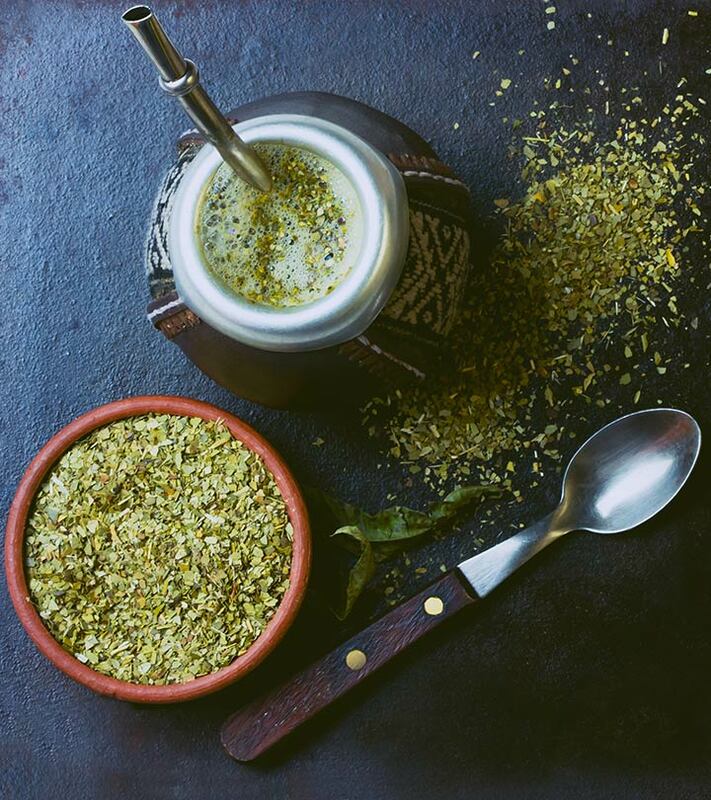 Yerba mate is the hero of all antioxidant drinks – you should replace your cuppa with this in the right amounts. Always inform your physician about any changes you make in your diet. Procure mate leaves from a trusted source to stay away from the effects of contamination. Hope this article took you by surprise and gave all that you wanted to know about yerba mate. Your feedback is valuable, so please write your suggestions, comments, and questions in the box below. How much yerba mate tea is safe to drink? US FDA has set the caffeine intake limit to 400 mg/day. Assuming that we obtain caffeine from various sources, apart from beverages, having 3-4 cups/day of yerba mate is safe. Pregnant women have a lower permissible limit for caffeine – 2 cups/day could be considered safe. But ensure you consult your physician first. Can you smoke yerba mate and can it get you high? Though this hasn’t been explored much, it is better to drink the tea than to smoke it. Since the phytochemicals do not have pronounced neuro-stimulatory effects on your body, smoking it might not give you what you expect from rest of the herbs. You can, on the contrary, drink yerba mate tea to get off smoking tobacco as it has high caffeine levels and gives clean energy and euphoria. How long does the effect of yerba mate last? Although it is an herb, it doesn’t have extreme effects on your brain and body. It is mild and more like a therapeutic drink that gives you quick energy that can last for about 30 minutes. It is hence advisable to have small doses (and split them across the day) of this tea for best results.